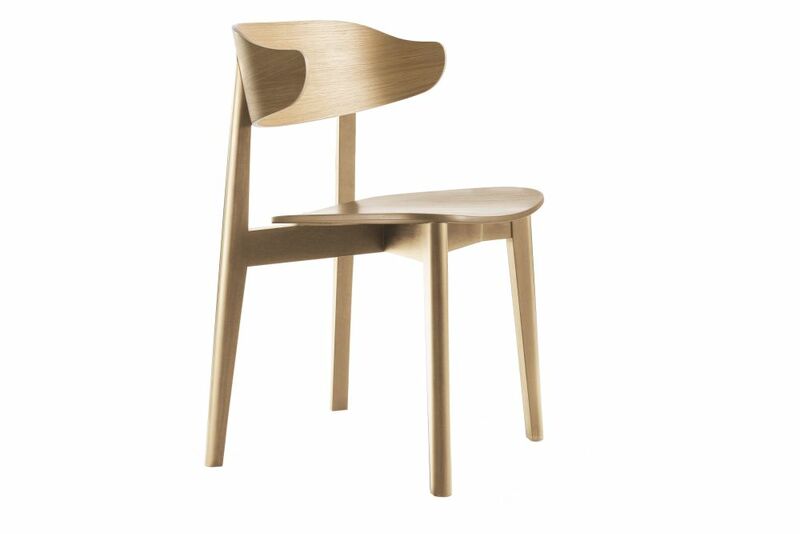 ‘Setter’ is a new range of dining chairs, designed by David Irwin and manufactured by Deadgood. Produced in a lacquered timber with the possibilities of a ‘hard’ or ‘soft’ seat and back rest, ‘Setter’ is designed with comfort in mind. A wide variety of finish options offer distinct versatility and include veneer, lacquer, leather and a complimentary suite of fabrics. The frame boasts a simple cross brace construction, designed for its durability in both a meeting or hospitality setting. Compound angles to the rear provide some subtle Mid-Century inspired detailing, whilst the curve on the back rest doubles up as an arm rest, the profile of which bears reference to that of a dogs head. An off the wall reference and inspiration for the name ‘Setter’.